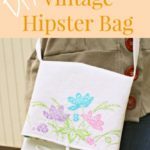 Today’s National Sewing Month Project (a video lesson!) is brought to you by Angel Peterson from FleeceFun. Now that you’ve picked that perfect machine and brought it home, it’s time to learn how to use your sewing machine! Angel sat with us in the AllFreeSewing studio and will teach you about all the parts of your sewing machine. She will explain what the tension plate, feed dogs, and the hand wheel are. This free sewing lesson will get you going on that project you’ve picked out with confidence. Now that you have learned the basics, are you ready to take that new machine for a spin? Here are a few of our favorite beginner sewing patterns to get you started. 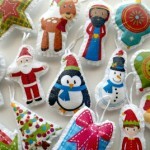 Cute and Easy DIY Christmas Ornaments – STAFF FAVORITE! 15-Minute Mouse Pad Wrist Rest – USEFUL and perfect test-drive material. Perfect Pre Cut Quilt Pattern – A great way to practice driving that machine! 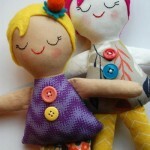 Josephine Free Doll Pattern – Why not make a special gift? 20-Minute DIY Skirt – Perfect for kids and easily adaptable to adults. Now for today’s prize. 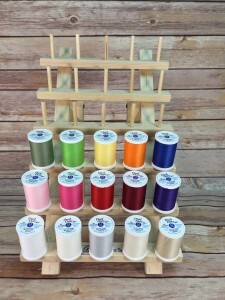 We are giving away this great thread organizer and a collection of Coats&Clark thread! What part of the sewing machine do you struggle with the most? You have until tonight, September 14th, 2015 at 11:59p EST to leave your comment on this post. Comments posted after that will not be counted. I don’t really struggle much with my sewing machines. I know them well! But the one thing that I’d rather not deal with is the button hole attachment. It’s just fiddly and takes time to get it right. Good thing I don’t need button holes that often! Coats and Clark thread is my favorite….would love to win! Depends on the machine I’m using, I have a number. I like to try them all because they have features I like. The thing that frustrates me the most is threading the bottom threads of my serger. They are always the ones that break and they just seem so ticky to get everything back to functioning good again. Thanks. Choosing what stitch option to choose! Sometimes being creative is a burden when you cannot decide between so many amazing different options! I wish the little button to back stitch was located somewhere different. I hate that I have to hold it down with one hand when I really want to be using that hand for guiding the fabric better or something. Maybe it is just because I am fairly new to sewing, but I think there must be a better set up for this. Otherwise, I love my sewing machine!!! I just got my first sewing machine in July for my birthday. Not tackled the automatic button hole feature as yet! Have managed a pretty good invisible zip with my new zipper foot so I just need to keep practicing!! I have an old machine passed down from my mother with a knee paddle. I find threading the machine the most difficult. I believe it is much easier on new machines. I’m still trying to master the narrow hemmer. Normally I don’t have issues, but I’ve been having trouble with my bobbin housing lately. I think it got jostled in a move too much, and I may need to take the entire thing apart to get it permanently right again. For now, though, I just take it out and fix it every time it jams. I don’t struggle much with anything on my sewing machines. But I do wish buttonholes could be made simpler. I struggle with adjusting the tension when I’m sewing something different. The bobbin causes me the most problems. Not huge problems but it seems to slow me down too much. It is distracting. Currently I’m struggling with FMQ, but it is mostly user errors and figuring out what to do. I have an awful time in getting my tension set on my sewing machine. It is really frustrating when working on a project. Ii find the tension setting to be rather mysterious. Probably a bit of research would help, but ever since the man who sold me my machine told me “never touch it” I’m nervous! I really struggle with my 1/4 in seam. I used a machine for 40 years that was center needle, my new machine is a left needle. I have tried new feet, tape, lines down the fabric, everything! Nothing seems to come consistently. Maybe in 35/40 more tears I get the hang of it! Ha!! I find the tension is the most difficult thing to master. Why does it seem to be fine one day and then loopy the next when nothing has changed! And as for sewing with elastic thread and shirring – forget it! Doesn’t work for me. The tension is often a puzzle to me. I tend to just fiddle with it rather than understanding just why it’s acting up! I struggle a lot with thread breakage, so I guess I would have to say tension. Remembering to check my needle alignment when changing feet. In getting much better about it… Breaking a needle is a good lesson. I’ve had no problems with my current machine, but with my previous machines, adjusting the tension gave me fits. I have a new machine so am just getting used to it. So far the most trouble I have is figuring out which foot to use with which stitch. I have to agree with Daniel, its the needle that messes with me. When I turn it on the needle is on the far left, and the foot in it needs the needle in the center. Lots of broken needles. Now that my eyes are getting older I am struggling with threading the needle. I have been sewing off and on for over 50 years and have times that I love sewing and times that I really don’t. I have two every day machines one threaded with white thread and the other threaded with black. The Serger is always threaded with white thread unless I’m doing a special project. I agree with Mom C that threading the looper threads on the Serger are the most difficult. My sewing machine is an old metal one that does straight stitch and zigzag. I can’t think of anything to struggle with! I hate all button attachments on any machine I’ve ever owned. I’ve been sewing for many years but never look forward to making those darn button holes! I have no problems with my machine Basically my brother is a great machine. I have wore my machine out so I would love to have a new one. I currently have a serger and embroidery and a regular machine. I sew all the time. I find the button hole function and foot really difacult to use so I don’t even try to do it with a machine.I do it by hand and this takes forever. I struggle most with threading my machine and the throat size. The throat is never big enough for quilting and my arthritic hands can’t seem to thread the machine anymore. Wish to be young again. HA! HA! The throat plate. I was having a problem with my material getting caught down in there, until someone showed me that using a piece of tissue paper under my flimsy material would help with the problem and it tears away easily. Biggest issue is the button hole. 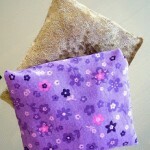 Usually, the tension is the issue – Changing from one type of fabric to another! I have an old New Home machine and sometimes the bobbin case doesn’t go back in correctly (or I don’t put it in correctly). Other than that I love my machine. Have a great day! I seem to have the most issues with my bobbins – I just found one where the machine kept jamming and the bobbin thread was all jangled up. The thing I struggle with the most on my sewing machine is getting the tension set right. I don’t really struggle with a part of my sewing machine, but thread tension and stitch length are a source of stress with me. Thanks! I normally don’t have much problem with any of my machines but occasionally the tension gets ou of whack & can be frustrating to readjust. My first thought was I have stitches on my machine that I haven’t used because I have no idea what they are for and the owner’s manual isn’t much help. I’ve tried to use them on projects they seem to be for but I usually end up ripping them out and using tried and true stitches. Not the machine ,we can along well. I struggle with zippers and buttonholes! Replacing the needle takes extra effort but I love my machine. Would like to win the threads and organizer. thanks and good luck to all. I agree with the lady who commented on the reverse lever ……would sure be nice to be able to have both hands on your project and not on the reverse button ! The tension! Always! If my machine messes up it’s usually the tension. I usually persevere and win the day! i struggle with the threat tension, no matter which number i chose for the tension, it is never right, the stitches show lose in the back. Also selecting the right thread and needle for the fabric. I always get skipped stitches or ugly stitching. ugh! I struggle with tension as well when I am using special threads. Tension-mine, not the machine’s. I agree that the reverse could be handier, but except for mending, I don’t use it much. Still love my 2nd-hand machine and would only trade it in if I could get one that does something this one won’t. When this machine was new to me, I was going to make a fancy dress for my little girl with all the special stitches and such. Well, she got the fancy dress alright. But when I looked at it, the stitching was almost all straight stitch and zigzag! The only embroidery was the lazy daisy row down the front-done by hand! Lovely thread would be great. Thanks for the chance. I occasionally still struggle with tension but not as much as I used to. Sometimes I have issues getting the stitch width, length, and tension right when doing a decorative or satin stitch. I don’t like to spend a lot of time testing different settings – I just want to get on with my project so I can sometimes get frustrated when it doesn’t work right the first time. I have to say, the newer machines are so much easier to thread and adjust than the older ones I used to use. I have the most difficulty with bobbins. Somehow even with a drop in bobbin, I manage to drop it in wrong. I often struggle with getting the tension right. But most days, I have a good relationship with my machine. I have sewn off and on through my years. My areas of problems are tension and bobbin. Mother has recently passed away (my instructor or teacher through the years) and she has several quilt tops that need to be finished. I would love to have a newer machine to use. I still have and use her old singer sewing machine. A new one would be nice and easier to use. The tension when I’m FMQ. Sometimes it takes a while to get it set right. Have issues with tension as well…and am just learning to FMQ….which takes getting used to & lots of Practicing! I have always had problem doing Buttonholes…whewie! For me it would be the tension. I never seem to get it right on the first time. I have a hard time with keeping my seems at 1/4 inch! 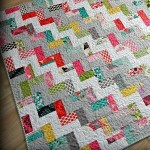 Yes I’m a quilter . I’ve tried many quarter inch foots and still can’t find one that does the job! 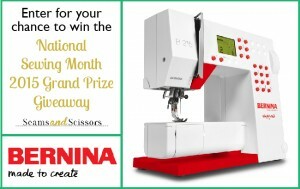 I love sewing and have never tried a Bernina! Tension can be difficult to when stitching several seems together but just really try and deal with the problems! Getting the needle threaded to work even after a store visit with it..also have tension stress, looks great on top but when I can peek at the underside there are the loops and need to take out and resew……yes, would love to have that gift, have never won anything but always hoping! I struggle with remembering to actually, physically remembering to change the stitch when I change the stitch….. The part of the machine I struggle with the most is the automatic buttonhole stitch maker. I can start pretty good sewing down but sewing up the other side is where I have the problem. I have not conquered using the built in needle threader. I generally love my sewing machine, but when I struggle with anything, it’s usually the tension knob. Thanks for the great advice in this post! i struggle with picking a decorative stitch to use. I love them all. The tension is my problem. I can be sewing along for hours, then suddenly the tension goes out of whack. GRRRRRRRRRRRRR. Agh! Tension when I FMQ! I find that when I am beginning to stitch fabric together and it doesn’t move along like it should but the fabric gets gobbled up in the feed dog… Those are the moments that are most frustrating!! I hate trying to adjust the tension so its always right. I also have alot of trouble using the double needle. 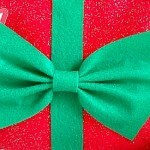 12 Days of Christmas: Day 1!